It’s 2018 Enshrinement Banquet Day! But only a select few actually do live forever. 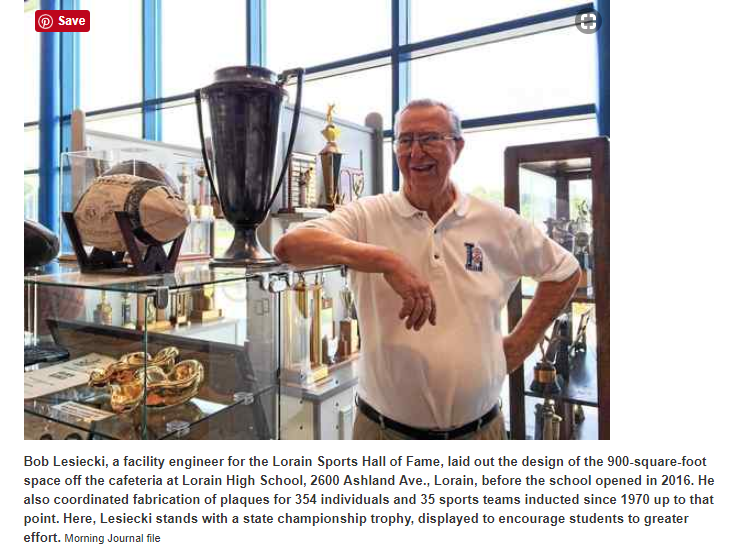 With the Lorain Sports Hall of Fame ceremony taking place on May 19 at German’s Villa, former local athletes, coaches and historically great teams will cement themselves in Lorain lore. Click here for the whole story, with links to profiles of the enshrinees published in The Morning Journal. 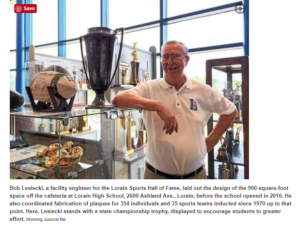 The below link will play the sound bite of the interview with WEOL’s Andy “Bullseye” Barch and LSHOF Banquet Chairman Tom Bauer. The Lorain Sports Hall of Fame proudly announces its 2018 Class of Enshrinees. The group will be enshrined at the LSHOF banquet on Saturday, May 19, 2018, at German’s Villa. Tickets will go on sale at the beginning of March. For ticket information, contact Ron Feldkamp at 440-244-3449 or Tom Bauer at 440-213-8719 or by email at tbauer0403@gmail.com. Congratulations to all our new enshrinees! Take a look at local sports news coverage of their enshrinement announcement. With the 2018 LSHOF Enshrinement Banquet fast approaching, Banquet Chairman Tom Bauer helped to spread the news in an interview on AM 930 WEOL’s Bull’s Eye on the Afternoon sports talk show. The conversation reviewed all the new enshrinees who will join the Hall of Fame on Saturday, May 19, 2018, at German’s Villa in Vermilion. You can listen to the interview at this link. For ticket information, contact Ron Feldkamp at 440-244-3449 or Tom Bauer at 440-213-8719 or by email at tbauer0403@gmail.com.